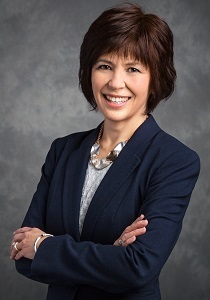 Cultivating innovative ideas and strengthening partnerships are a big part of Rosemary Chapdelaine’s jobs as vice-president and general manager for Mission Systems and Training at Lockheed Martin Canada. She believes aversion to risk and high penalties for failure are the biggest barriers to innovation. 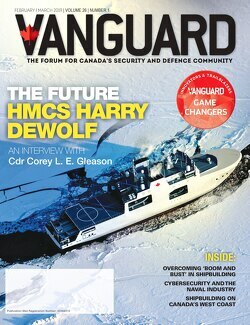 Vanguard caught up with her recently during the opening of Lockheed Martin’s latest IMPACT Centre in Kanata, Ont. Work at the state-of-the-art facility will be targeted at meeting Canada’s need for the Canadian Surface Combatant programme, as well as other international opportunities. Read on and find out why Rosemary is a Game Changer. Vanguard Magazine: What is your role in your organization? Rosemary Chapdelaine: I lead the Mission Systems and Training portfolio for the corporation in Canada by harnessing the expertise and talent developed during the performance of complex projects such as the Halifax Class Modernization and by fostering the implementation of innovative ideas and leading-edge technologies through investments in R&D, partnerships and collaboration so as to position the company for future domestic and international opportunities. VM: How did you start out in this industry and how has it brought you to where you are today? RC: I started as a mechanical engineer working for IBM in their Federal Systems Division. As my career progressed, I was able to gain valuable experience in managing projects, developing business strategy and leading people by working in different organizations and locations throughout the corporation. With each of these moves, I had the tremendous opportunity to expand and enrich my knowledge about our business operations and products we develop as well as grow as a leader. VM: What was your most challenging moment? RC: I’d say that one of the most challenging aspects of my job is international portfolio growth. The challenges range from geographic proximity, culture, and language to understanding our customer’s objectives and requirements, building trust; ensuring country-to-country MOUs are in place (obtaining approval of export permits, licenses, Program Security Instructions) and developing a competitive solution to offer against other international industries. What we found as enablers that helped our team to be successful in this worldwide market includes aspects such as establishing and leveraging in-country presence and relationships (trade commissioners and RCN), dedicating time to understand our new potential customer’s needs; bringing competitive (proven, low risk, highly adaptable and affordable) solutions, and most importantly having the credentials where we have executed similar projects here in Canada with our Canadian customer endorsing our performance. VM: What are the things that get you excited about the business or your career? RC: We have amazing talent and inspirational leaders here at Lockheed Martin Canada MST as well as a successful portfolio of programs that positions us well to secure new opportunities for growth in our pipeline. This combination fosters both excitement and energy across our entire enterprise where it enables our employees to gain valuable experience and offers them considerable career growth opportunities, it provides our customers with exceptional performance on their programs, and it inspires innovative solutions to some of the most challenging problems our customers face. VM: What habit do you think contributed to your success? RC: I am a problem solver; I have the ability to see the big picture and am forward-looking, forward-leaning; I take a holistic and balanced approach to decisions with the intent of having a win-win outcome wherever possible; I am courageous in addressing issues; and I’m accountable for my business performance and decisions. So the habits I’ve adopted that support these attributes include: taking action; researching and soliciting inputs from broad range of sources; listening intently and valuing inputs and ideas of others; approaching situations with consideration of others’ viewpoints and possible reactions; maintaining pulse of stakeholders (e.g. employees and customers); collaborating with colleagues and stakeholders; and ensuring open and timely communications. RC: My most recent “aha” moment was when we won the New Zealand ANZAC Class Frigate System Upgrade program. This project was not only highly competitive with world class international bidders, but there was a well-established incumbent. Our win highlighted that you can beat the odds by always being at the top of your game whether it’s bidding on new opportunities or as the incumbent and you must continue to provide value to your customer throughout all phases of a project from conception through execution. VM: What do you think are the biggest impediments to innovation – within your organization and within the industry as a whole? RC: Aversion to risk and high penalties for failure. When time and money are constraining factors, taking a conservative, low-risk approach is often the path that is taken when developing solutions, which at times deters the ability to introduce new technologies or innovation, because these are viewed as “unproven” hence comes with risk. VM: What piece of parting advice can you give our readers? RC: Being a “game changer” can help businesses accelerate growth and can be achieved in many different ways (for my business it was technology, infrastructure, and people). The first step is to recognize the need for change, then determine what the change will look like and finally assess the strategic value the change will bring.